Dr. John Gottman sent me a complimentary copy of his latest book, What Makes Love Last? I read it with great interest. Couples often come to my office struggling with trust and betrayal. While infidelity is a common reason couples seek counseling, it does not have to portend the end of the marriage. Before an affair strikes, women and men adamantly proclaim that they would divorce their partner if they caught them cheating. The discovery of an affair has been described as ”waking up to one’s worst nightmare.“ There is no doubt that this fundamental betrayal produces cataclysmic changes in the relationship. But what comes as a surprise, after the initial shock, is that couples often fight for their marriage, not so quick to divorce as they assumed. In What Makes Love Last? : How to Build Trust and Avoid Betrayal by John Gottman and Nan Silver (Simon & Schuster, 2012), Dr. Gottman makes the case that trust is a powerful protective antidote in keeping marriages healthy and affair-resistant. This seems obvious. But there are clear ways to encourage trust within a marriage. How does trust develop? What keeps it alive? And how do you rebuild it once it has been damaged? In this blog post and the next, I’ll address these questions. Central in developing trust is how individuals in a relationship react to what Dr. Gottman refers to as “sliding-door moments.” where “one partner expresses a need for connection [and] the other’s response is either to slide open a door and walk through or keep it shut and turn away” (32). These expressions, or “bids for contact” in Gottman’s phrase, happen all the time as partners ask each other in words and deeds for support and understanding. A small bid would be something like, “Hey, isn’t that a lovely flower?” or as intimate as “I need you” after a difficult day. Each one offers a chance to step through the door. All committed relationships have an abundance of sliding-door moments, and of course, partners will not always be able or want to step through. They could be busy, preoccupied, angry, or just not paying attention. What puts a relationship in trouble is when most of these moments end poorly. If over time, bids are ignored without the benefit of discussion, one or both partners may begin to wonder if they matter in the marriage. Compounded, these lost opportunities for connection will lead to feeling unloved and unappreciated. Feeling that way creates fertile ground for an affair. For example, a co-worker shows interest and understanding during a time when a partner is absorbed in their own life stressors. 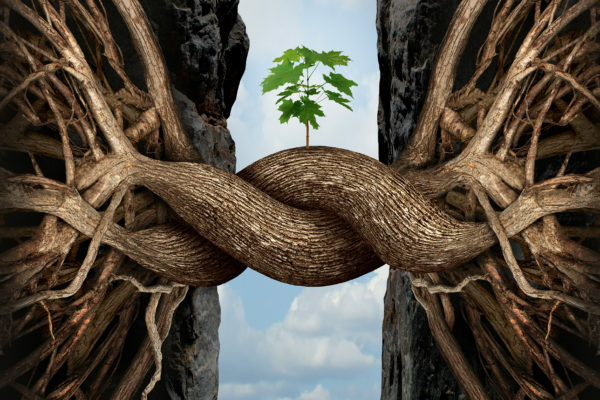 What starts as an innocent work friendship can lead to betraying the marriage as the unmanaged conflict between a couple chisels away mutual trust and struggles become set in stone. Research shows that we are more likely to remember things that are unfinished—such as an argument that never gets resolved or discussions that end poorly with misunderstanding and hurt. The memory of the event leads to an increase in negative attitudes about the marriage. This is referred to as negative sentiment override (NSO). The friendship couples once felt is diminished and they see each other in an increasingly negative light. This NSO leads to one partner feeling threatened—perhaps her partner is involved with someone else? When Joe and Lisa came to therapy for the first session, she was convinced he was having an affair. While his outside relationship had not become sexual, the risk was high that it could do so if they didn’t attend to their relationship. Many years of poorly managed communication about the division of labor conflicts led to feelings of being unappreciated and unloved by both Lisa and Joe. The more Lisa complained the more Joe pulled back—which served to make Lisa more insecure. During one session they described a recent tussle. After a particularly exhausting week, Lisa spent all Saturday cleaning and grocery shopping. She prepared Joe’s favorite dinner. But Joe was frustrated with Lisa because earlier in the day, when he needed her help getting their daughter ready for swim lessons, Lisa continued to Skype with her sister, ignoring him. By the time they sat down to eat, Joe was steaming, Joe has trouble expressing his feelings when he feels them. In this case, he stewed for most of the day. By the time they sat down to dinner, Joe was boiling mad. He didn’t realize that Lisa was trying to create a sliding-door moment for them to connect at dinner. She didn’t know that Joe felt ignored. This dynamic is not uncommon when couples start therapy. The loss of emotional intimacy is usually preceded by years of a subtle weakening of the friendship system in the marriage. Couples stop sharing their intimate feelings. Criticisms, gripes, and defensiveness erode fondness and admiration. Rather than thinking loving thoughts about each other, their thoughts are dominated by what therapists call “distress-maintaining thinking” In other words, the more you see your partner and your marriage in a negative light, the more distress you feel. In turn, the negative thinking gains traction, leaving little space for thoughts and behaviors that would increase expression of fondness and appreciation. If Lisa doesn’t express appreciation to Joe for the time he spends with their daughter, and Joe can’t express what he feels, both the loving and difficult feelings, they will grow apart. The door will shut tight. When sliding door moments are repeatedly missed, negative thoughts about the marriage will slip in, squeezing out affection and love. The good news is that you can take definite steps to build back trust and protect your marriage from betrayal. Couples therapy is often the first step toward building back the foundation of your relationship. Stay tuned for the next post to see how you can protect your relationship. This sounds just like me and my husband. I can’t wait for the next post! How can we protect our marriage? We squabble over this stuff all the time and then I feel like I don’t even like him anymore.